← Can you spy this special future skyline? UPDATED on 10/13/15 to include Rust Belt cities of all sizes. 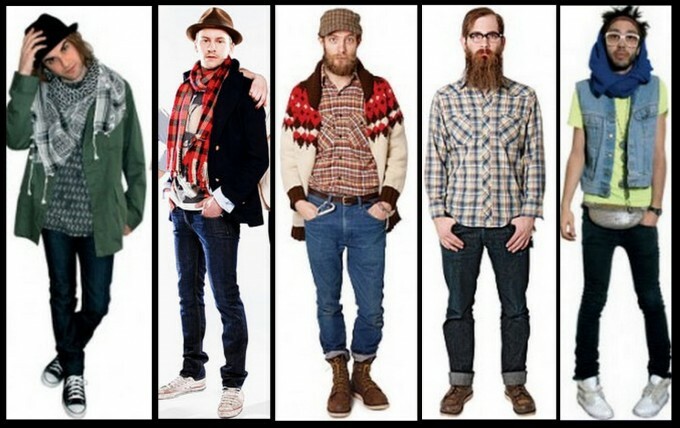 Now that we have defined “hipster” in near-book length, there are a number of neighborhoods in cities across the country that have become what I term “hiphoods.” Some of the best know ones are Wicker Park in Chicago, Williamsburg in Brooklyn, the Mission District in San Francisco, North Williams Avenue in Portland, and Silver Lake in L.A. Despite the media concentrating on the larger, more well-known hipster neighborhoods, many smaller and mid-sized urban centers have hipster neighborhoods in them, only they don’t get as much press. While there are many positive urban planning and redevelopment aspects of this cultural trend, there are also some very real social equity concerns that must be considered and addressed. In many, if not most cases, current hipster neighborhoods were suffering prior to being discovered. While revitalization of a depressed community is reason to celebrate, it can come at a cost – primarily gentrification, which can force those eking out a living in the neighborhood prior to the new hipster homesteader’s arrival, to move because they can no longer afford the rising rents or property values. This scenario is hardly just, as those who stuck out the hard times are often unable to enjoy the benefits of the neighborhood’s new-found popularity and economic upturn. As a result, tensions can rise as the area gains popularity. Potential remedies include adopting a housing affordability plan, requiring a certain percentage of affordable housing as part of new and redevelopment projects (a.k.a. below-market rate ordinance), developing resident-controlled housing opportunities, adjusting tax policies/laws, and establishing community land trusts. In an attempt to identify as many hipster havens as possible in the Rust Belt, a number of resources were utilized, including social and traditional media, internet websites, and blogs from around the region and country, Here’s the list of hip(ster)hoods for a number of Rust Belt cities. Given that this may not be an exhaustive list and that new hipster havens can quickly sprout and propagate, any additions or corrections to the list are most welcome. Cheers! Ann Arbor, MI: Kerrytown and South Main – though pretty much the entire city is hipster heaven. This entry was posted in adaptive reuse, architecture, art, beer, branding, brewpubs, cities, civility, coffee shops/cafes, culture, economic development, economic gardening, economics, entrepreneurship, historic preservation, history, humanity, inclusiveness, land use, placemaking, planning, revitalization, Small business, social equity, Social media, spatial design, technology, third places, urban planning, zoning and tagged bohemian, cities, culture, economy, hipsters, land use, neighborhoods, planning, redevelopment, revitalization, Rust Belt, social equity, urban planning, zoning. Bookmark the permalink. There are many innovations involving “revitalization of a depressed community” which would not happen there, and like that, without being completely predicated on real estate prices for purchase or rental which are very low because of the [economic] depression there. I’d like to take these places, these innovations, and the people doing them there, put them in a bag (figuratively speaking), set them aside, and ask them, okay, what would you do to make this innovation if you couldn’t get the real estate for so cheap?